HomeMobile App DevelopmentHow to Build a Mobile App like Instagram? Instagram has been the reason why people across the world have taken ”travelling” as a serious hobby. Also, Instagram is the reason why digital businesses have started considering the photo-sharing app as a serious business. Can a mere photo-sharing app be a serious business? All that a business needs are engagement. Moreover, with the rise of the smartphones, it has become pretty easier for the users to click pictures to their heart’s content and share it with their peers. Selfie is the new norm set by the millennials for the years to come. This photography culture has not even spared the baby boomers from its addictive influence. The point remains, irrespective of the identified user persona, the photo-sharing app is constantly widening its horizon by engaging users of different age groups. If we believe the stats on Hootsuite, Instagram has over 1 billion active users today and they share around 95 million posts per day. What does this convey to the aspiring Instagram-like photo-sharing app businesses? The stats show that the photo-sharing app business is not yet to be concluded. It has a huge potential in terms of both innovation and expansion. With video-first content being the very near future for the digital businesses, video ads will turn out to be the most promising source of revenue generation for photo-sharing mobile apps like Instagram. All in all, the time is right to build your very own Instagram-like mobile app. 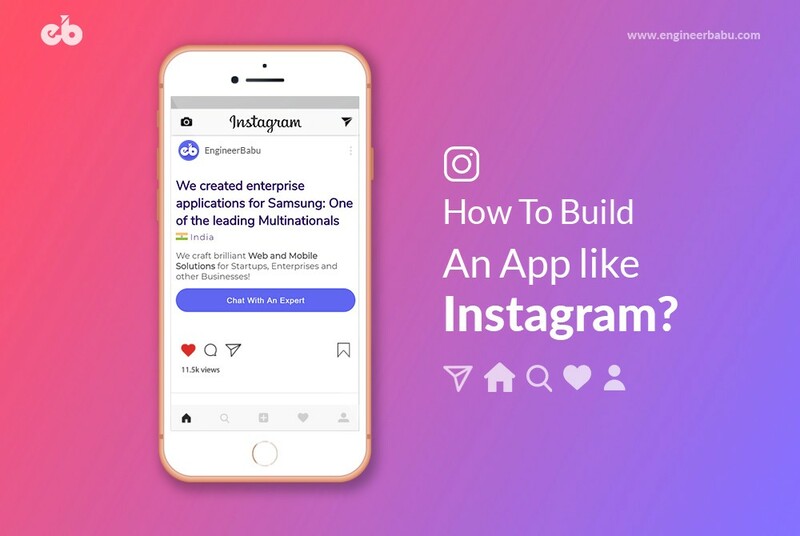 Let me provide you with a complete guide to build an app similar to Instagram. Instagram is a lot more than just a photo-sharing app. It is a bundle of smaller businesses run under a single umbrella. It is a photo-editing app in disguise with so many colourful filters in place. The users can crop the picture, adjust the contrast and brightness, use markers and text in their pictures, or simply play around with the filters. How can this benefit you as a photo-sharing business? Since you already equip your user with the additional tools they require for editing their photographs, they stay on the platform for a longer period of time. During this time, it is upon you to fill their feeds with sponsored ads, video ads, etc. and earn out of it. The success of eCommerce has conceived a new term known as “Social Commerce”. Undoubtedly, photo-sharing applications keep the users engaged on the platform. This creates ample of opportunities for the brands to showcase their products in the best of its light for the already engaged customers and create an additional source of income other than their own apps and websites. You, as the owner of the photo-sharing application, can earn commission for every transaction made. Be it any type of application, a direct message feature has made its place in the MVPs of the feature list. Direct message helps the users to connect deeply with other users. Other than scrolling for hours in their feeds, the direct message has the capability to engage the users with emojis, share pictures from the feed, create groups, and chat! The features of a photo-sharing app like Instagram have a fair share of contribution in keeping the engagement intact and constantly elevating. It helps the user differentiate between a quality app and a crappy app developed with the sole intention to make money. By providing user-friendly features, you communicate that your business cares for its users and this is all that is required to engage the customers and retain them especially when you have no physical product. What’s in a signup screen? Well, it is the deciding factor that determines whether the user stays in for a longer time or directly uninstalls the app. Most of the times, businesses feel the need to extract the complete information. However, it might do more harm than good to your business by frustrating your users with pages and pages of data to type and submit. Plan to extract the information from your users, the Facebook way. Facebook never asked it’s users for a mobile number during the time of registration. With time, it called out for the ease to log in with the mobile number and smartly collected the contact details. So, in order to build your photo-sharing app, a social media login and signup is a must to have feature. It not only makes it easier for your users to register quickly but also creates an opportunity for your business to create cross-platform ads. Let’s face it. A photo-sharing mobile app is but an entertainment app for your users. And your app isn’t the sole source of entertainment for your users. In this case, how to keep them coming back to your app and ensure that they spent a good amount of their digital time using your application? The answer is simple — push notifications! Your users are curious social beings. They want to know even the most minute update about their friend’s life. Set an algorithm that will help you know whom the user follows the most. Whenever there is an update or a photo shared by the particular user. Send a push notification to the fellow users to keep them coming back to your photo-sharing app, wanting to know more. Stories, as witnessed in Whatsapp, Facebook, and Instagram have become the most engaging form of user-generated content. Whenever a story is published, a push notification is sent to the fellow users. Stories can be used as an invite-to-engage feature. 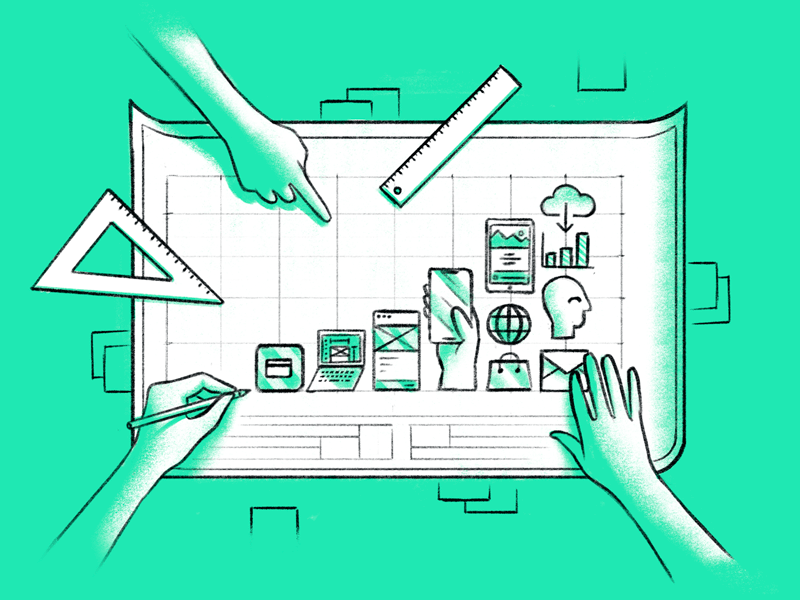 An innovative way of building a story feature can be by providing the user with the control to choose the amount of time they want their story to be displayed for. By default, the time duration can be for 24 hours and the users can set their story display duration as per their wish. Your users have posted an image on your platform. What next? They want to post the same photograph on other social media platform. Now, keeping the competition aside, consider the fact that your platform needs promotion and what better than doing it with Facebook! If not others, at least provide a Facebook integration. This way your users will be able to post their pictures on your photo-sharing app and share it on other social media platforms with a tap! Not only you are building up the customer experience, you are promoting your app by leveraging user-generated content on popular social media platforms. Could there be any better win-win marketing strategy? Instagram doesn’t run on many desktops and operating systems with all the features. It is a dedicated photo-sharing mobile app. 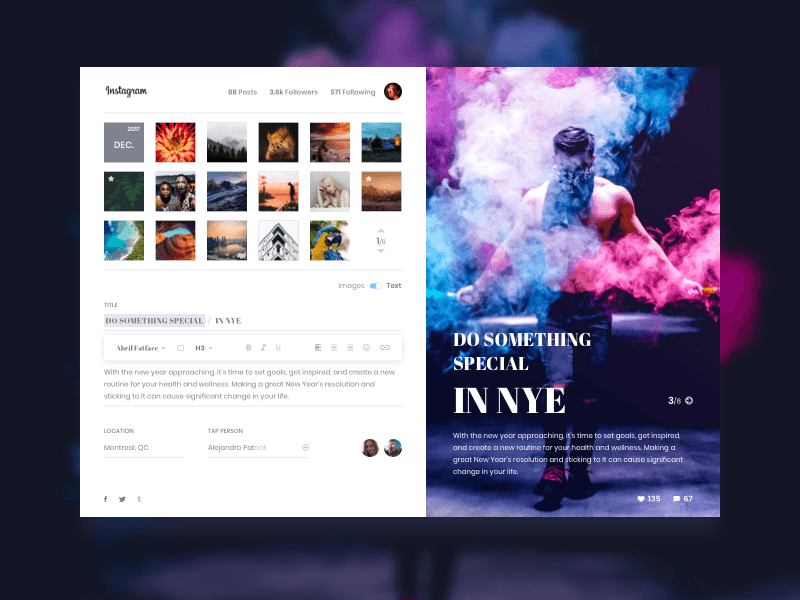 To make the maximum out of this bottleneck of Instagram, you can create a fully-functional web app along with a mobile app. While a smartphone’s camera plays an important role, code your app in such a way that it can access the webcam to click a picture. And why only for posting and sharing pictures? You can create a photo-sharing app for helping the user to perform all the actions using a web app — like a picture, share it with a group, comment on a picture, etc. 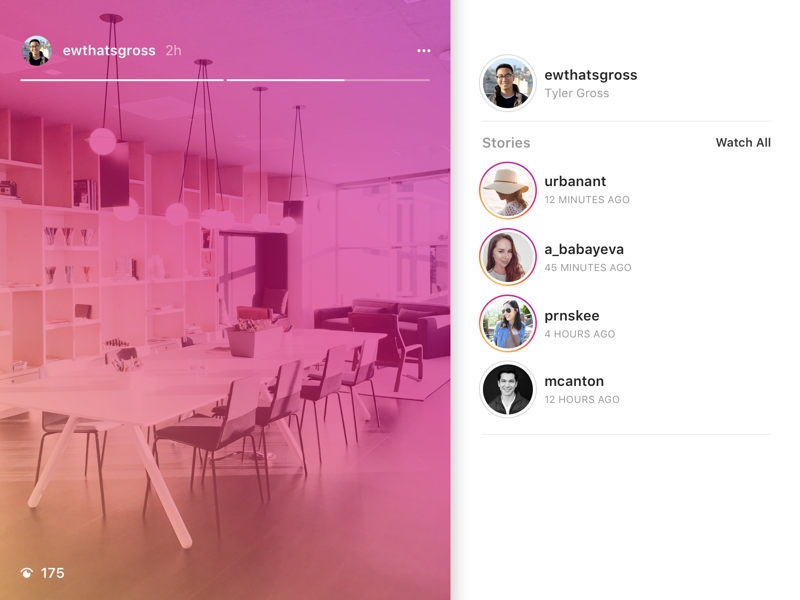 An exciting feature for the users is a direct message within stories. It is like speaking to the public but getting personal replies. 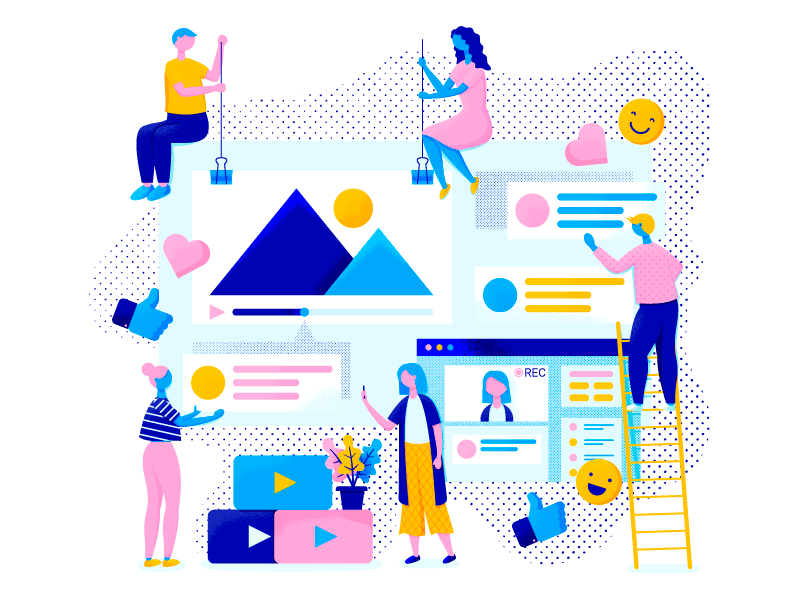 The user can create questions for their followers, ask them to make suggestions, create polls, and keep the engagement going on within the platform with the image, short video, or even plain text. The search module helps the users to look out for people, tags, and places. Moreover, the app also provides suggestions in the search bar. It is an MVP feature for a photo-sharing app. You can leverage the search results to know the best of the followers for a particular user and fill his feed with the updates of those followers. This way, the user will be more interested with the help of personalized feed. Your users love to travel to places. More important is the fact that they want their followers to know where they have been. This calls for a GPS integration for your photo-sharing application. The location feature is dynamic in nature. This means that the user can either automatically fetch the location or can add the location manually when their connection is poor. Here the users can get suggestions as to whom to follow and keep a track on their recent actions on the photo-sharing application. 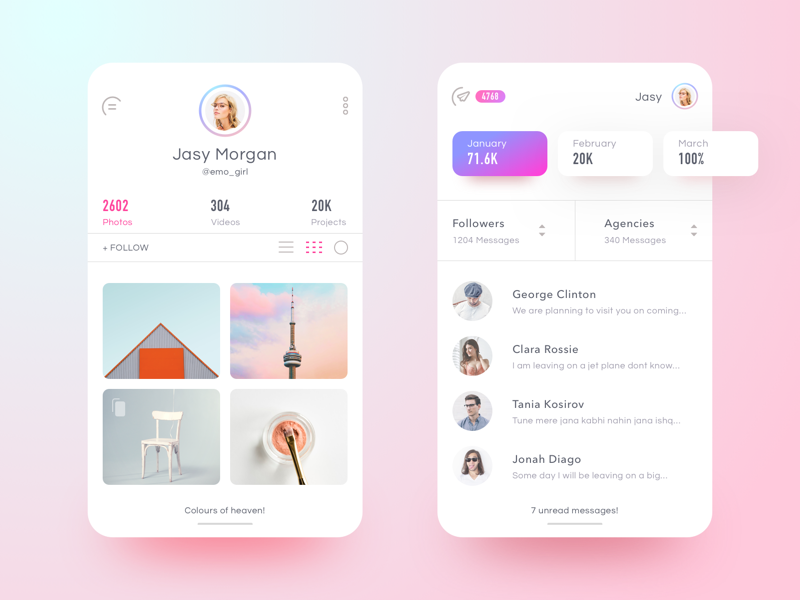 While on the other hand, the follower’s activity feature shows complete information about what the followers are doing on the photo-sharing app along with the exact time activity. How can you stand out with your Instagram-like photo sharing app? With a successful business model on Instagram, you are not going to be the only business. There’s already a cut-throat competition to serve the customers and earn their loyalty. If this is the situation, what can be the solution to emerge as a winner in the photo-sharing app market? An important aspect to keep in mind is that the photo-sharing businesses do not have any apparent revenue model. A lion’s share of their revenue is contributed by video ads, sponsored ads, and e-commerce. This implies to the fact that engagement is the revenue for such photo-sharing applications. The proposed solution can be to follow a customer-first approach to your business by developing user-friendly features. A better way is to build an Instagram-like app with just the right features to elevate your customer’s engagement. You have got an idea to start a business with a photo-sharing app of your own. The mobile app development demands a lot of planning right from the start to the end. This means that you have to be literally on-the-go before launching the first version of your application. However, a lot of your hassles can considerably reduce, if you plan the development well. Let me walk you through a proper plan. Every photo-sharing app looks alike at the grassroots level. Your basic version of photo-sharing app just demands a simple photo-sharing feature with followers. But the difference starts to build up when you add branding and UI/UX design to your app to create a strong brand awareness in the mindset of your users. Your front-of-the-mind focus should always be your USP. Know what is the goal that you want to achieve with your photo-sharing mobile application. This has to be figured out before starting with the development process to be crystal clear in your app development approach. Always plan your business with the most basic features and then gradually enrich it with advanced features. This way you can test your market and make implementations. Same is the case with demography. You might have a strong personal reach but it is always a good idea to go baby steps with the demographics. Target a specific demography, earn their loyalty, and they will talk about your brand on your behalf. Your ultimate goal is obviously to earn revenue out of all these painstaking efforts. However, your primary goal should be to create engagement for your users. Learn the photo-sharing app revenue rule: No engagement, no revenue! What could be the possible Revenue Model for building an app like Instagram? Instagram makes money by monetizing on the user’s attention span. More the attention span, higher is the revenue. Since everything has been said about the development of a photo-sharing app, it is obvious for you to wonder about the budget. Let’s find out the cost of building an app like Instagram. Basically, there are three possibilities with which you can develop your photo-sharing mobile app. You might either go with the most viable features, advanced features, or a perfect blend of both the basic and some advanced features. It is a known fact that iOS app puts a bigger hole in your pocket as compared to that of the Android app. However, it is upon your target audience and their preference of device to select the operating system. The possibility is, your target audience can have an equal ratio and you might have to launch an app for both the platforms. While coding your app in Kotlin would be costlier but trendy, it is upon you to figure out your app development needs. Similarly, you have to make a smarter choice with native and hybrid app development. If you are not technically sound, you can seek assistance from your developers. If you don’t already have a team of hard-headed developers and you are thinking to outsource them, you need to be very careful in your selection process. Look out for the case studies and experience. Compare the cost of the app development and then make a decision. If we consider the most basic version of the app with only the MVP features and clean UI/UX design, the projected price can go up to $6,500 for development. However, there is very little support and maintenance required. If we consider a blend of basic features along with some advanced features, the price can increase to somewhere between $20,000 to $25,000. If we consider the app to be developed with complete advanced features, then the price can rise to as high as $65,000 to $75,000. How to Outsource Developers for Building an Instagram like Mobile App? 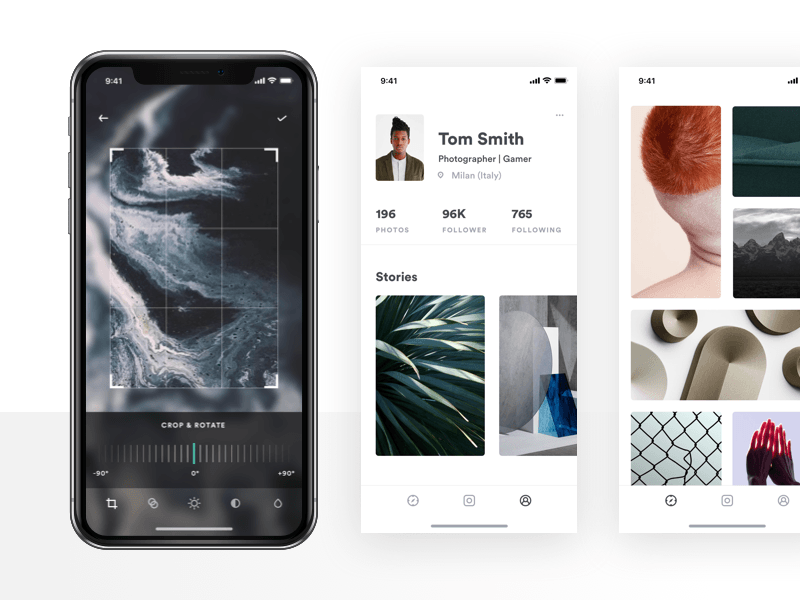 Based on what you are planning to get developed for your business, determine the scope of work and then decide upon the number of resources for building a mobile app like Instagram for your business. There are many different types of pricing model that you could choose from — time-based, scope based, fixed price and fixed time pricing model, or dedicated resource hiring. While some of these models are based on the client’s demand, the others are determined by the app development firm itself. When opting for a dedicated resource based hiring, ensure that you know the scope of work and that you are not paying for an extra resource. Ready to bring your photo-sharing mobile app in the real world? Did we miss out on an aspect or two? We’d love to enrich our knowledge. Lastly, for this exclusive guide tailored to assist you to build an app like Instagram, help us reach out to more readers by clapping and letting them know how helpful we are with our research and analysis! 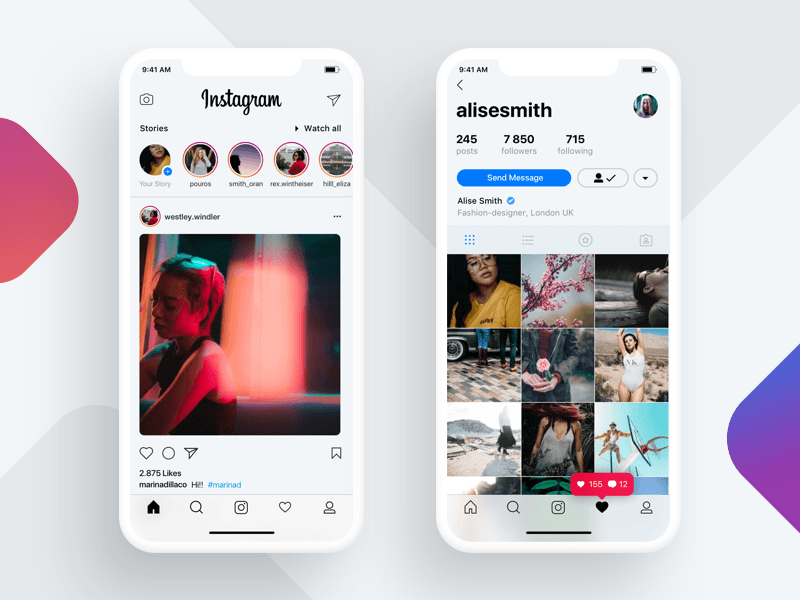 How to Build a Mobile App like Instagram? was originally published in Hacker Noon on Medium, where people are continuing the conversation by highlighting and responding to this story.